Suddenly, Venezuela has a smart, determined opposition. Sunday's parliamentary election in Venezuela saw Chávez's governing United Socialist Party of Venezuela slump to a landslide. Chavistas walked off with 59 percent of the seats in Venezuela's single-chamber National Assembly on the back of just 48 percent of the vote, all thanks to a well-known list of unfair voting conditions that left the playing field far from level: an aggressively gerrymandered map, massive rural overrepresentation, and blatantly biased election rules approved by a blatantly biased Elections Commission. Though routed in the seat count, the vote felt like a win—and a coming of age—for opposition activists. Gone are the days when the words "Venezuelan opposition" conjured a hodge-podge of ancien regime holdovers and reactionary cranks. The vote was a milestone in the opposition's gradual transformation into an organized mass political movement able to credibly challenge Chávez for the allegiance of everyday Venezuelans. For a movement short of money, with limited access to broadcast media, run almost entirely by volunteers and vilified daily by official media, this is highly impressive. Slowly, over the last twelve years, the opposition has learned some basic lessons about democracy and what it takes to champion it in the face of an autocratic onslaught. The first has to do with unity: a movement long riven by personal rivalries and intractable clique dynamics finally pulled together to put forward a single, unified slate and campaign with an impressive degree of message discipline. The kinds of feuds and splits that had earned them a well-deserved reputation for haplessness simply vanished in this cycle. The second (related) lesson has to do with message discipline: the opposition finally grasped the need to get control of the agenda by picking a powerful theme and sticking to it. This time, with public concern mounting over an unprecedented crime-wave that has left Venezuela with a murder rate four times higher than the death toll for civilians in Iraq, the opposition pushed hard on crime and the government's failure to deal with it. With food inflation clawing back many of the gains in living standards the poor had made earlier in the Chávez era, the opposition put the government on the offensive, highlighting recent scandals in the state-owned food distribution network. Most importantly, the opposition managed to stay on its bread-and-butter message in the face of any number of government attempts to shift the focus of the debate. For the first time in the Chávez era, the opposition managed to set aside the kinds of highly abstract discourses about "communism," "Marxism," "Fidelismo," and other such abstractions that had been the mainstays of its messaging so far. With public opinion research showing again and again that this form of messaging could only rally the opposition's middle-class base, the opposition finally started to get the knack of targeting "the other 80 percent": working class Venezuelans who scarcely care about the various "isms" but want their basic concerns addressed. Paradoxically, by the end of the campaign it was Chávez who seemed out of touch, wedded to a highly abstract, ideological discourse that lacked any evident points of contact with Venezuelans' day-to-day reality. With official discourse sounding more and more like something out of a 1974-vintage mimeographed pamphlet from a radical campus group, it was suddenly the opposition—with its narrow focus on issues like crime and food security that matter to people every day—that had something relevant to say. All of which sets the stage for an extremely interesting presidential election in December 2012. The government's failure to clear the 50 percent mark despite an unprecedented mobilization of state resources to secure a win is a clear indication that 2012 is no sure thing. Unlike in past elections, the government will no longer be able count on the opposition to simply shoot itself in the foot repeatedly until it's out of contention. Buoyed by this experience, opposition politicians will now come under overwhelming pressure to rally around a single candidate selected via primary. We should be clear: the obstacles to a transition to full democracy in Venezuela remain daunting. In his eleven years in power, Hugo Chávez has worked assiduously to break down all barriers between the state, the government, the military and the governing party. This obviously creates massive structural advantages for his United Socialist Party. When the opposition wants to organize a rally, it has to struggle to field enough volunteers to set it up; when the government wants a rally, it just calls the army and hundreds of soldiers are ordered to set it up. When the opposition wants to put a 30-second on the air, it has to fight to raise every penny to pay for it, then struggle to find a station willing to air it. The government can just commandeer the airwaves on every TV channel and radio station for Chávez to campaign for hours on end, free of charge, and does so, often. 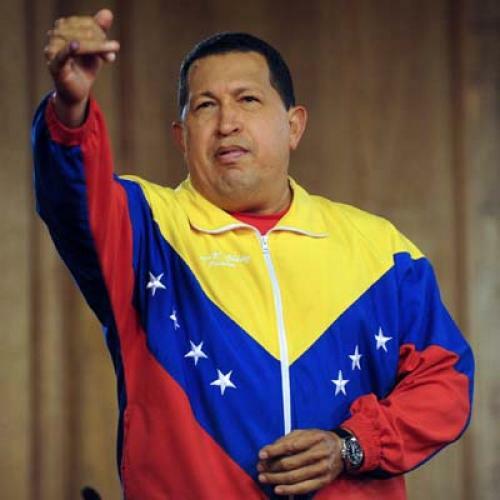 Nobody ever said it would be easy, taking on Chavez within what remains of Venezuela's democratic structures. But Sunday's election makes one thing clear: it may be hard, but it's not impossible. Francisco Toro blogs about Venezuelan politics at CaracasChronicles.com.